At Haley Chiropractic, we understand how frustrating it can be to lose your health or struggle reaching your goals. That’s why we’re here. We welcome you to join our team and discover the wellness lifestyle that you deserve. Rest assured that our fees are competitive with other offices in the Lyndhurst and North Jersey area. Once we have an opportunity to evaluate your case, we’ll explain what we’ve found and what we think it will take for you to get well, and just as important, to stay well. Insurance. Due to its proven effectiveness, chiropractic treatment is covered by most insurance plans. And because insurance paperwork can be intimidating, we’ll gladly file and process the necessary claim forms for you. We are providers on most of the major insurance plans, including some out of network benefits. Feel free to contact us and let us verify your coverage. Non-Insurance. If you don’t have insurance, we’ll help you with some easy payment alternatives. Don’t allow financial concerns to keep you from the quality health care you deserve. 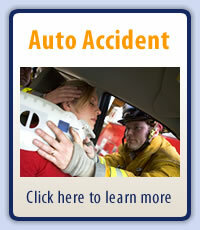 We welcome those looking for relief and recovery from personal, auto and worker’s compensation injuries. We are a provider for Bergen County Risk Managers. It’s as easy as that to receive chiropractic care! We’d love to meet you and answer your questions as we help you regain your health. Contact us today to schedule your appointment.